Your gums are an important foundation for your teeth and provide stability for ALL of your dental work, so it’s important to keep them healthy. Periodontal disease is the most common chronic bacterial infection in adults, and if not treated properly, it can spread rapidly throughout your entire foundation. 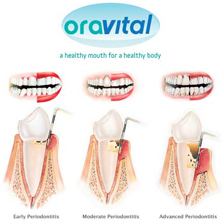 Perhaps the most undervalued service in dentistry is periodontal treatment but it is by far the most important. myGums focuses on education and retraining, getting each of our patients to maximize their oral hygiene leading to excellent oral and overall health. If left untreated, periodontal bacteria can lead to bone and tooth loss that can threaten your foundation – and overall health. myGums at the DH Smile Center is a rigorous periodontal therapy program that uses traditional Scaling/Root planing, Oravital treatments, laser therapy and periodontal surgery to manage all stages of periodontal disease. Inhearant in myGums treatment is a comprehensive maintenance program that allows for our patients to keep disease process under control and have the benefit of healthy teeth for a lifetime. In the event that tissue is lost due to disease our aim is to rebuild utilizing the most advanced grafting of both gum and bone and re-establishing a strong healthy foundation for myNewTeeth solutions, or for aesthetic mySmile treatments. To find out how to best take care of your oral health call us or Click Here to set-up an appointment.